This morning at 07:10 the police and the IND raided a squat in the Schilderswijk to arrest our friend Ali. In the early morning the dogs of the police and IND raided the house of our friend Ali because he supposedly does not possess the correct paperwork to remain in the country. About ten cops were ready with battering rams to break open the door, this was not necessary because Ali opened the door himself. He has been brought to the main police station. According to his lawyer people are being deported back to Iraq since a short time. At this moment it is not clear if the deportation services (Dienst Terugkeer en Vertrek) have planned his deportation. His lawyer is checking on this. An update will be placed when more information is available. It is important to warn people you know from Iraq who do not have a permit to stay in the country about the situation. 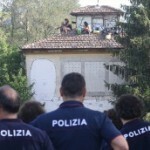 On Friday we reported about raids, evictions and arrests in Italy. Here is another report about the police operation. Six comrades were released yesterday, two are still imprisoned. Florence, April 21, 2016 2017: someone attacked the carabinieri barracks in Rovezzano, the Florentine suburbs, with a molotov. Florence, January 1, 2017 an explosive device placed outside the bookshop “Il Bargello” near Casa Pound explodes in the hands of a policeman who is severely injured. Following these two anonymous attacks, on the morning of August 3, 2017, eight comrades are imprisoned. 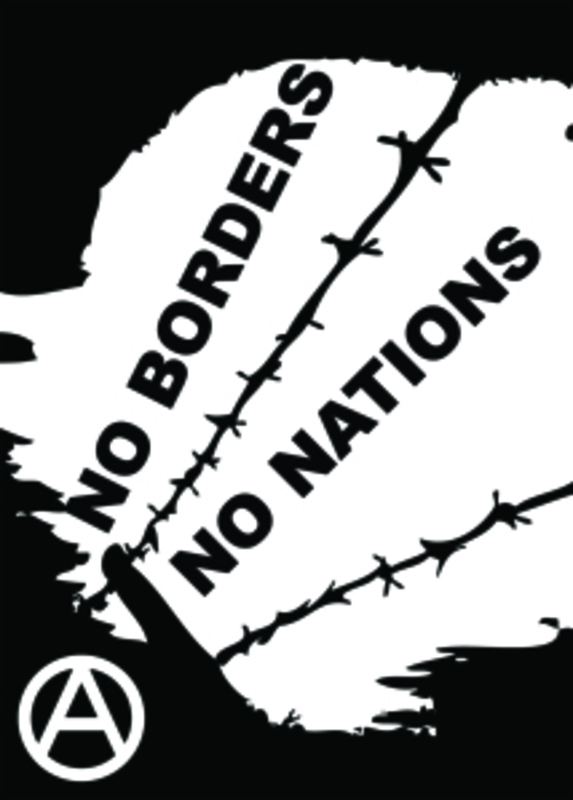 The anarchists: Marina Porcu, Micol Marino, Pierloreto Fallanca (Pasca), Giovanni Ghezzi, Roberto Cropo, Salvatore Vespertino, Sandro Carovac, Nicola Almerigogna. 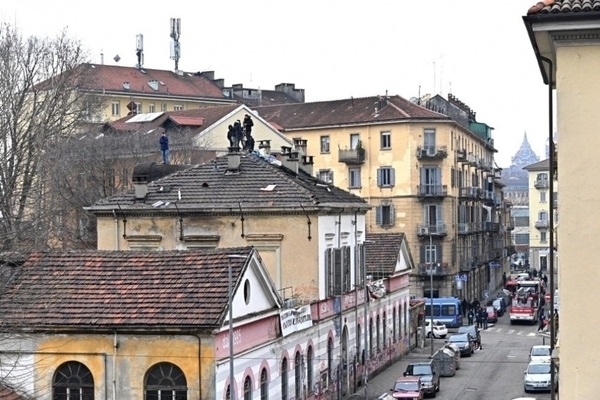 These comrades have been notified of accusations of attempted murder because of the wounding of the bomb disposal engineer Mario Vece, fabrication, detention and transportation of explosive devices, aggravated damage for the throwing of incendiary bottles against the Carabinieri barracks. Spina Eugenio (senior executive of the State police, head of counter-terrorism). Pifferi Lucio (head of the D.I.G.O.S. in Florence). Creazzo Giuseppe (chief prosecutor of Florence). On Thursday 3rd August at 6:30am the Digos of Lecce and an antiterrorism special squad (UOPI) wearing balaclavas and armed with machineguns stormed La Caura (Roca-Lecce). The police forced those present to lie face down on the floor, then took a comrade, Paska, away who is now being held in the Lecce prison. 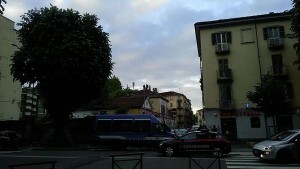 The episode occurred at the same time as that at La Riottosa in Florence, where another 7 comrades were arrested, while one was arrested in Rome. The police operation refers to an explosive attack on ”Il Bargello” [neo-nazi] bookshop, a Casapound place, in Florence (1st January 2017), when an incompetent bomb disposal expert was injured, and to an incendiary bottle against the carabinieri barracks in Rovezzano, Florence (21st April 2017). 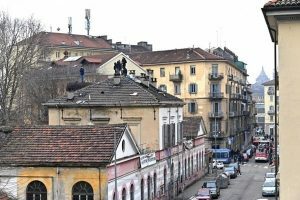 The police chief of Lecce immediately took the chance to threaten the new squat (La Caura), opened just ten days ago, with eviction, as happened with La Riottosa. At around 2pm about thirty people went outside the prison in Lecce in solidarity for a quick greeting to the prisoners. And another gathering is to take place today 4th August at 6pm. This Thursday 3rd of August, 2017, in the morning, the cops have broken the doors of several rented and squatted houses in Florence, Rome and Lecce, to arrest eight anarchist comrades from Florence. 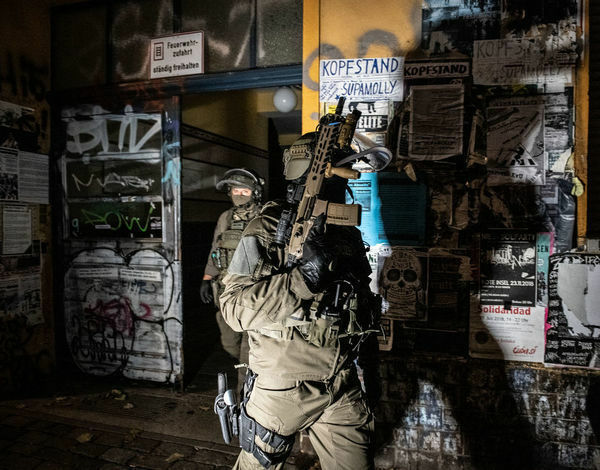 At 6 am yesterday morning cops raided 10 addresses in Copenhagen, Denmark. One of the buildings that was raided was Bumzen in Baldersgade. 25 persons were arrested and 9 of them are at risk of being placed in pre-trail custody. 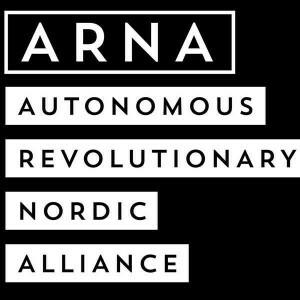 A report and a statement by the Autonomous Revolutionary Nordic Alliance (ARNA). With law after law, power and its police are shrinking the boundaries for the types of resistance that is possible. By constantly pressuring those who resist, they limit the possibilities of action, and even the ability to imagine a world without authorities and submission.